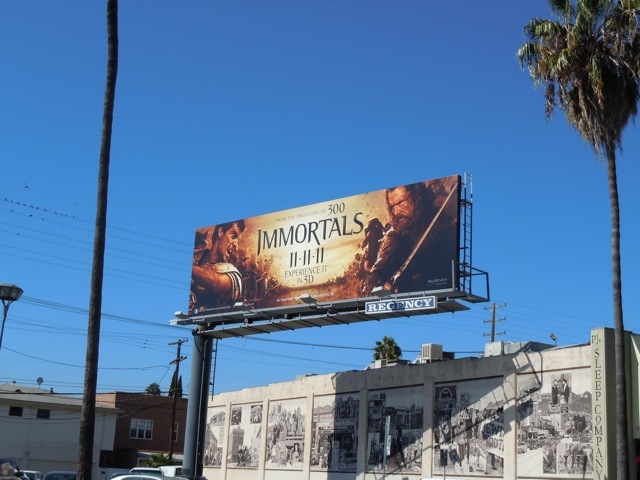 The epic fantasy Immortals arrives in cinemas soon on the fairly epic date, 11-11-11, and here are some of the billboards for the movie around the streets of Los Angeles. 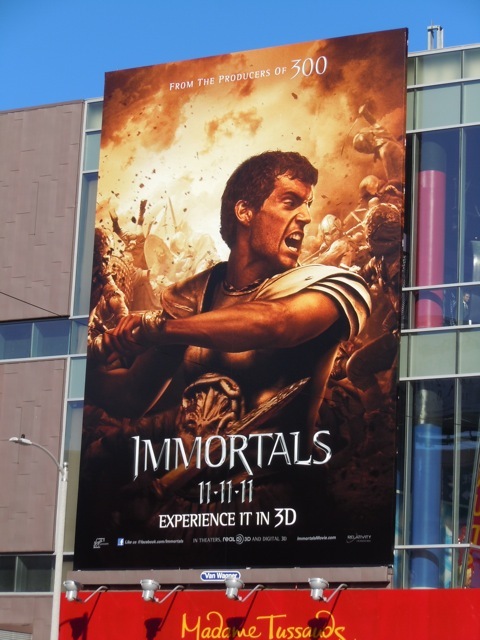 Soon-to-be-Superman, Henry Cavill, stars as 'Theseus', a mortal chosen by the Greek god 'Zeus' to save humanity and the Olympian gods themselves from the brutal 'King Hyperion' (Mickey Rourke). 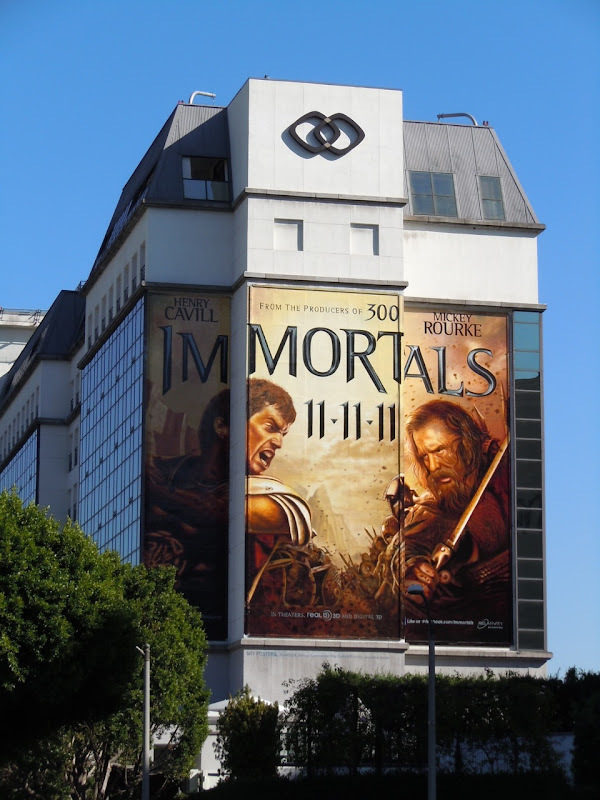 This giant billboard showing the epic battle between good and evil was snapped along Beverly Boulevard on the side of the Sofitel Hotel on November 2. 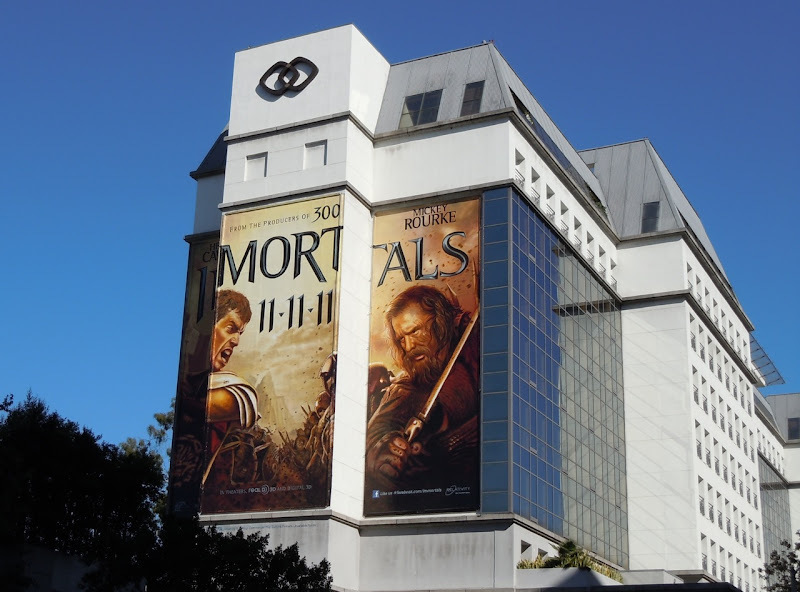 Be sure to also check out the super-sized teaser billboard for Immortals that was in this same location back in April this year. 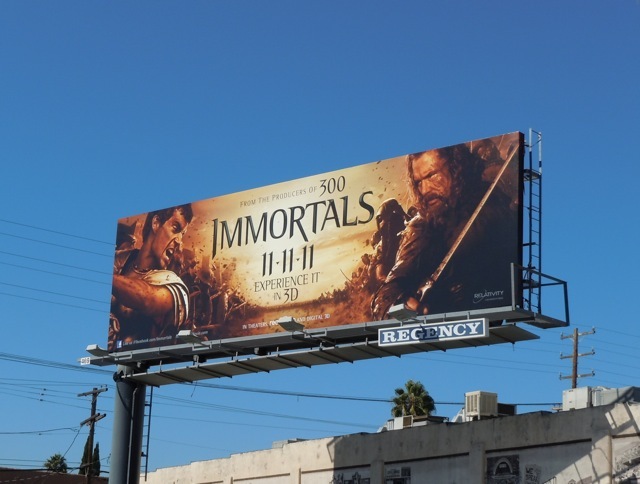 The other billboards were snapped along La Brea Avenue on October 13 and Fairfax Avenue on October 27, with the heroic Theseus version photographed on the side of Madame Tussauds along Hollywood Boulevard. 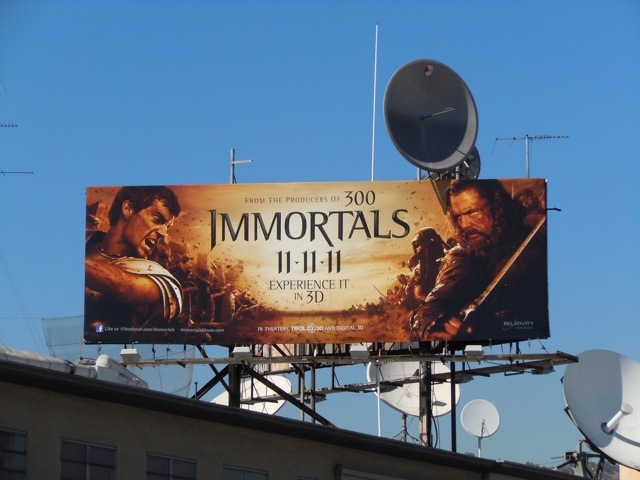 If you like these billboards, be sure to check out these original costumes from Immortals, including Henry Cavill's Theseus battle armour.